Note: The USB Charging Port is just for charging. It does not support the data transfer/sync function. You will not be able use the following functions when your phone is connected to this cable: call, microphone, music/volume control, and data transfer to PC/Mac. Dual function: Charge and Listen to music Simultaneously. 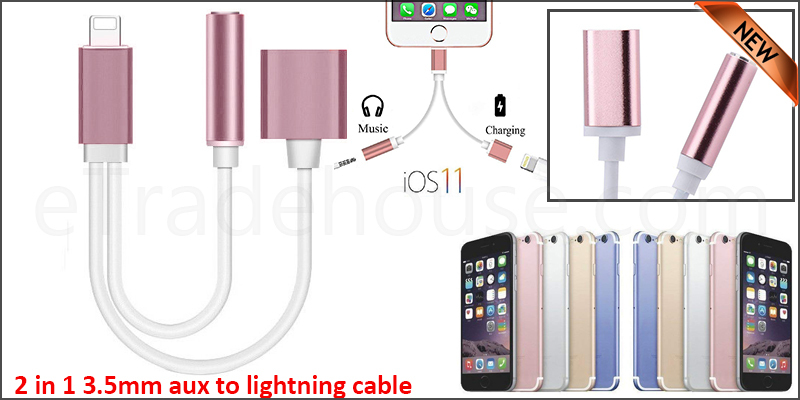 This 2 in 1 Lightning Adapter 3.5mm Female Aux Cable allows simultaneous charging and audio output, so you can listen to music and charge iPhone at the same time.